Is your marketing a little.. well… haphazard? So many of us running a handmade business just market on a whim – rather than planning out what we’re going to do ahead of time. After all, we’re trying to fit it in amongst all the other jobs on our list, right? And hey, sometimes that can be fun! Like – sharing random snippets of your day in the studio on Instagram Stories. But… marketing can be so much more effective when we plan it… and stick to the plan! 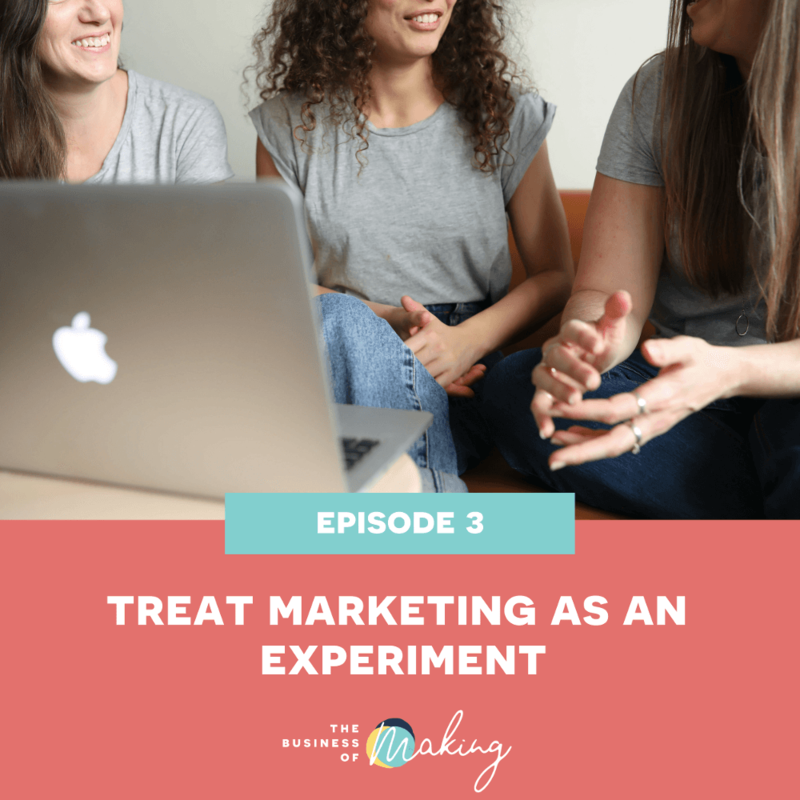 In this episode, we discuss the power of tracking our success, AND aim to convince you that you should treat marketing as an ongoing experiment. If you feel like you’re a ‘marketing failure’ because things don’t work right, first time… you’re not. You’ve just got more experimenting to do! We’ve even included a downloadable worksheet for you, which you can find below. Jess (the science geek) shows you how to use the scientific method as a guide for planning your marketing experiments. Does marketing freak you out, even just a little bit? We’re here to flip the script and encourage you to treat marketing as an experiment. Can you answer whether your lack of sales is a traffic or conversion problem? Not putting all your eggs in one basket – you don’t own Instagram!